The adage men are from Mars, women from Venus is no more prevalent than when it comes to choosing cars and their features. Or at least if we are to believe the results of recent studies. 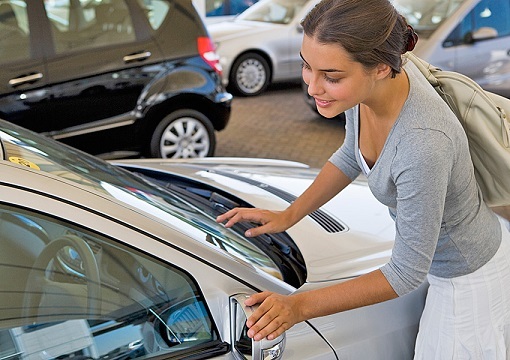 When it comes to car shopping, women are driven by features. They will engage in heavy online research to find the best fit - spending more time reviewing and marrying them up to a car that offers those features first, before car brand or model. This is contrasted with men who have a higher affinity for a car brand. A 2014 study by Kelley Blue Book, an equivalent to Australia’s Redbook, that compares car pricing, and sales information, of over 40,000 car buyers in the US has revealed some stark contrasts in car shopping, broken down by gender. Interestingly women are less likely to make snap decisions on car choice. Women taking an average of 75 days to make a purchase, whilst men averaged just 63 days. Surveyed women also demonstrated stronger reluctance to go into a car dealership and ask questions without having done some initial research. Stratton Finance, Australia’s largest vehicle finance broker, pointed out that people also tend to know exactly what they are looking for prior to looking for vehicle finance, adding time to the length of the purchase process. Women accounted for an estimated 50 percent of new ‘light-vehicle purchases’ (small sedans, hatchbacks, small SUV type vehicles) and represented 80 percent of used vehicle sales in that category. Women, tend to be more utility-minded, prefer non-luxury SUVs and sedans, while men, who tend to be more image conscious, want more sports cars, coupes and luxury sedans. Women prefer non-luxury Asian automobile brands, which they view to be more practical, while men want European luxury brands because of the image they portray. “This research shows us that no two vehicle purchasers are the same, so it’s important to have fast, flexible and reliable offering when purchasing your car. We offer to continue our focus on providing the proper tools and content to help shoppers narrow down choices,and meeting customer needs no matter what gender bias they display” Said Stratton Finance CEO Rob Chaloner. Think a Personal Loan is the way to go? Get started by speaking to your personal finance consultant on 1300 (STRATTON) 787 288.